I'm downtown today for some personal business so while I have some time to kill I thought I test the mobile blocker app. Update: unfortunately it posts the photo in Actual Size which bleeds outside the margins of the post. Are you really in Kathmandu? So cool! The company I previously worked at had an office there and I always wanted to go. I wish. No this is in downtown Chicago. 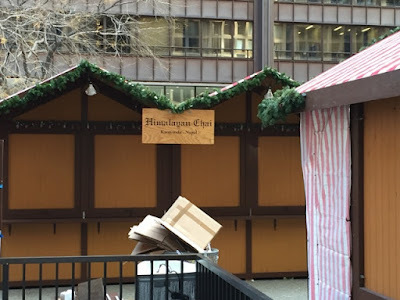 Every year they set up something called Christkindlmarket Chicago which is inspired by the one in Nuremberg, Germany.